Russia’s largest search engine Yandex is the first major corporation to invest in European micro seed fund Seedcamp, with an indisclosed investment sum. Yandex will now hold an indirect stake in all the companies supported by Seedcamp’s second, €5 million fund. The company invested the maximum amount Seedcamp would let them, a representative told The Next Web. “We always hear about stories of US leaders and the active role they play as buyers, partners, dominators … so it’s fantastic to see Yandex being nimble and active in the startup world, especially because it’s a homegrown European leader,” Seedcamp partner Reshma Sohoni said in a statement. Seedcamp’s long list of existing angel and institutional investors include Index Ventures, Bertelsman Digital Media Investments, and Point Nine Capital’s Christoph Janz and Pawel Chudzinski. Facebook, Google and Microsoft are also supporters, though not listed as investors. It’s not the first time Yandex and Seedcamp have crossed paths. 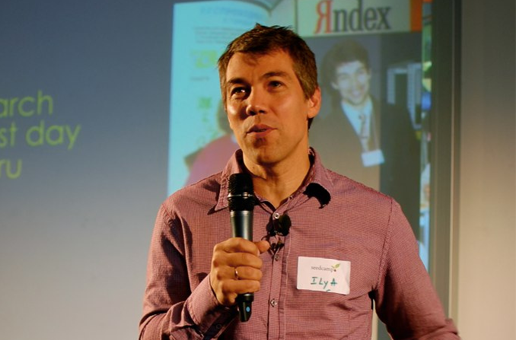 Yandex co-founder and CTO Ilya Segovitch (pictured) spoke at last year’s Seedcamp Week about the company’s journey from small research company to leading Russian search engine and internet services company. As of December 2011, Yandex (NASDAQ: YNDX) had 60.9 per cent of the Russian search market. It also operates in Ukraine, Kazakhstan, Belarus and Turkey, and opened a second office in Switzerland in March. The investment in Seedcamp is a further sign of the company’s interest in becoming a wider European player. Seedcamp invests in about 20 companies per year, with a standard investment of €50,000 in return for an eight to ten per cent stake. Seedcamp is holding an invite-only event for startups in Berlin on May 15. If your application is accepted, you’ll be one of 20 top startups given exclusive access to some of Europe’s – and the world’s – leading entrepreneurs, developers, investors and experts. Applications close at midnight tonight. Applications for the Heureka! web conference’s speed-pitching session are also closing this week – on Friday 27 April. Seedcamp backer Klaus Hommels will be one of the 12 top investors participating in the session. The Heureka! Conference brings together 40 internationally renowned speakers to share their knowledge on the topics of startups, investors, incubators, mobile, e-commerce, internationalization, and rising stars. Get your ticket now for Berlin’s exclusive web conference with a focus on ideas and implementation and mingle with the web elite today to discuss the issues of tomorrow.